I just wanted to create quick post about a killer tracking platform called ClickMagick. It helps you to scientifically track and optimize all your marketing, all in one place and get more leads, conversions and revenue from the same traffic you’re already getting. 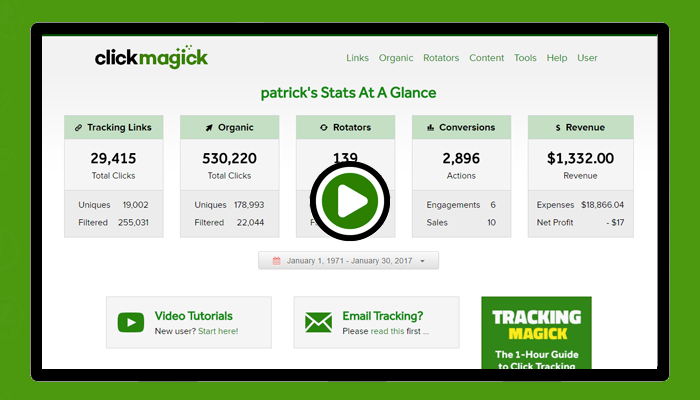 It works everywhere you advertise, and ClickMagick’s Fanatical 1-Hour support is amazing. When you need help, they respond in less than 1 hour! Be the first to comment on "Tracking With ClickMagick!"